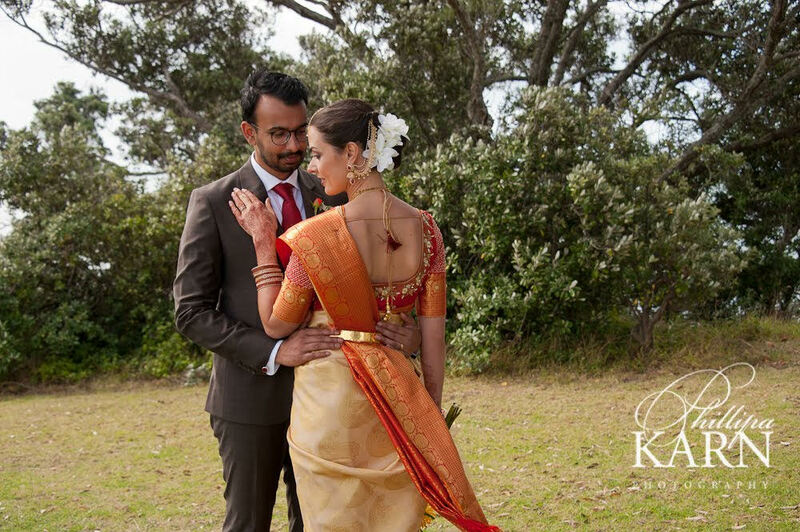 Krishna and Sophie’s ceremony was a beautiful melding of two cultures. 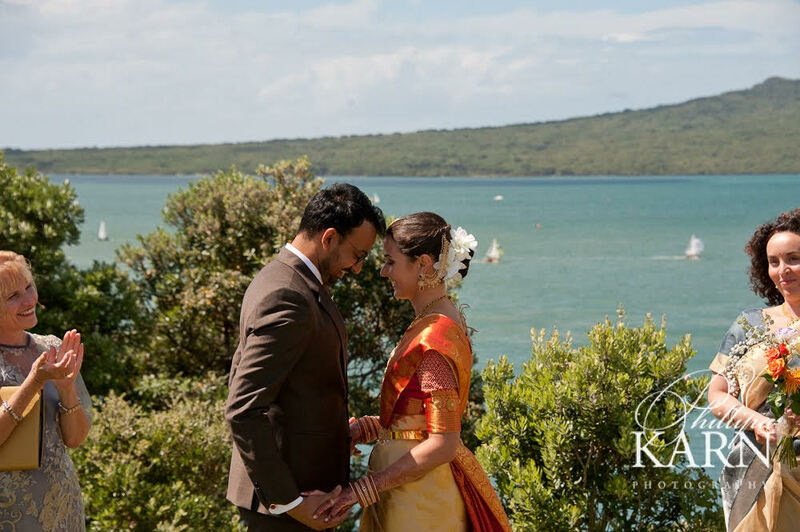 They held their wedding at The Officers Mess, with Rangitoto as the backdrop to their ceremony. The stunning Sophie chose to marry Krishna in a sari. After their ring exchange, Krishna gifted Sophie a mangalsutra, a gold necklace. In Hindu tradition, the groom ties a mangalsutra around the bride’s neck rather than exchanging rings. The necklace is tied with three knots to symbolise the couple’s strong bond for 100 years. Krishna then applied a dot of sindoor to Sophie’s forehead to signify that she is now married. Love does not claim possession but gives freedom. Love’s gift cannot be given, it waits to be accepted. 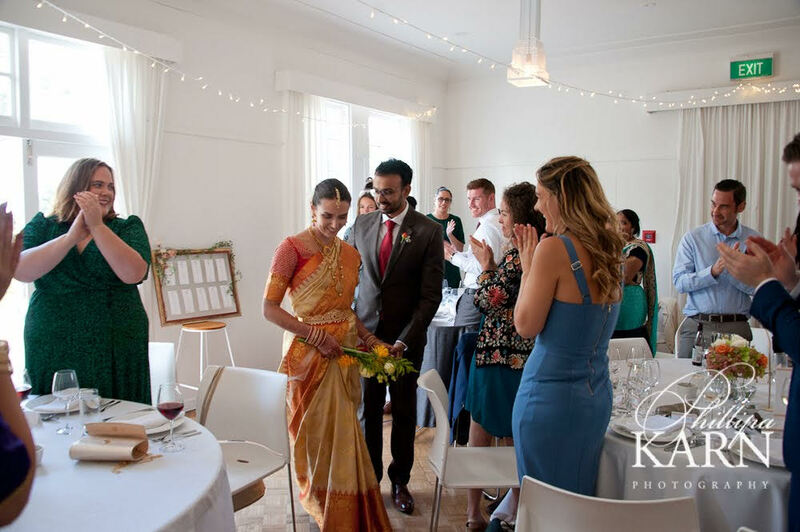 Congratulations Sophie and Krishna! Your moving ceremony was even more memorable for me, as it was held on my 40th wedding anniversary. Thank you so much for sharing your day with me. Photography by Phillipa Karn Photography.